In 1839, Texas officials toasted their new capital of Austin, and its citizens never ran out of excuses for revelry. Austinites celebrate their homegrown and vibrant culture, renowned and innovative music, street life and collective quirkiness with pride. 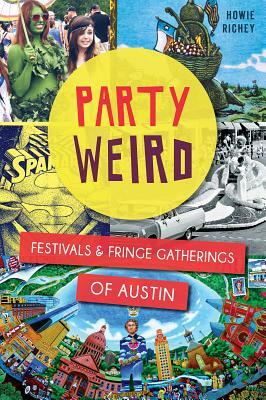 While world-class events now call the city home, in a culture that eschews conformity at every turn, Austin's underground social gatherings are what truly earn it bragging rights. Discover the grass-roots origins of the enigmatic eccentricity that has drawn people from all corners of Texas and now from the whole world. Feel the beat of drum circles at Eeyore's Birthday Party in April, sling puns at the annual O. Henry Pun-Off or share a meal with strangers at the monthly Perpetual Potluck Picnic--or Jim O's, as the locals say. Author Howie Richey explores the offbeat, exuberant culture and history of the city that started with a party that just didn't stop.